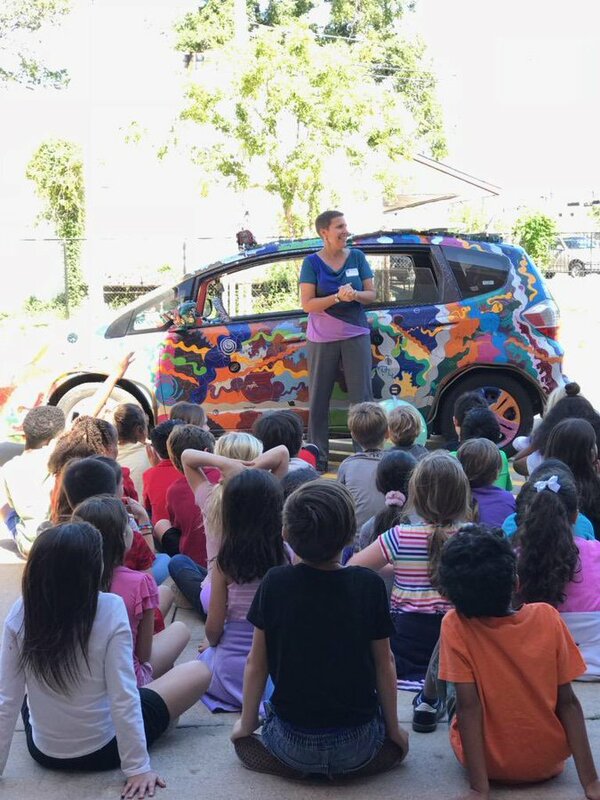 PTA Arts Co-Chair Lori Horvilleur worked with second grade teachers to welcome artist Rebecca Lowe and her amazing art car, “Map of Space & Time”, for a visit in early October. It’s this kind of cooperation between our community, PTA, and teachers that gives Travis that ‘outta this world’ zing! Thanks to our PTA board members, second grade teachers, Ms. Lowe, and everyone else that worked so hard to make this special event happen for our second graders.